November 24 is Small Business Saturday and we are very happy to be part of the vibrant and locally owned business community in Ben Lomond. 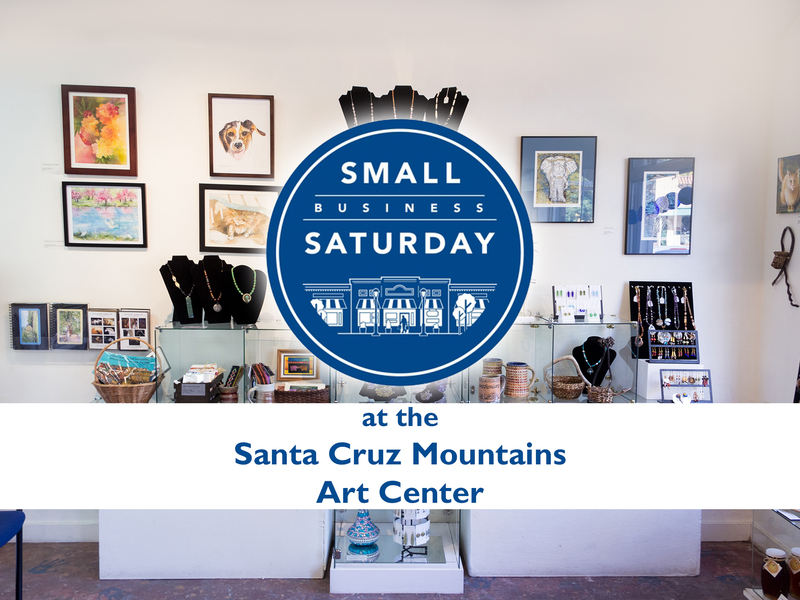 The Santa Cruz Mountains Art Center is focused on supporting and encouraging the arts through education, exhibition, and cultural activities. We are now in our 21st year and have a very active gallery with eight exhibits a year, a large ceramics studio with weekly classes, and wonderful youth programs including Art After School, Summer Art Camp, a yearly youth art show and more. So as you shop the many wonderful small business in Ben Lomond and the greater San Lorenzo Valley stop on by and see our current exhibit “Little Treasures” for affordable handmade gifts. You can also check us out online and see our current class offerings for kids and adults. We are also participating in Giving Tuesday this year. As you plan your end of the year donations consider giving to support the arts. Every little bit helps us keep our doors open as a community art center, pay for art materials, provide youth art programs (including scholarships), and hold special events. You can give today online or stop by the Art Center Wednesday – Sunday from 11:00 am – 5:00 pm to see us in person.